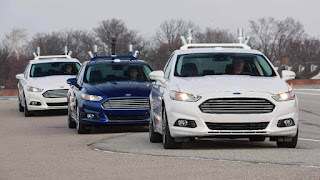 Ford Motor Co. plans to issue $2.8 billion in debt, the company’s first automotive borrowing in almost four years, as it boosts spending on self-driving cars, mobility services and electrified vehicles, according to a person familiar with the deal. The second-largest U.S. automaker is taking on the debt in 10-year and 30-year notes, according to a regulatory filing Monday. The size of the deal will be larger than the $2 billion initially anticipated, according to two people, who asked not to be identified because the deal is private. 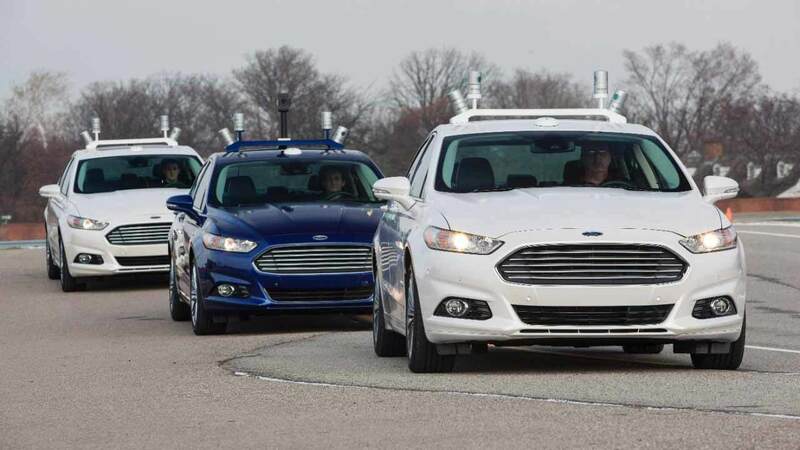 Ford’s last automotive issue was for $2 billion in January 2013. The company said its auto business had $13.1 billion in debt at the end of September and net cash of $11.2 billion. Ford has undertaken an expensive effort to transform itself into a mobility company that can take on upstarts such as Uber Technologies Inc. and Google. The cost of that conversion is causing profits to fall this year and next. The carmaker has promised to put 100,000 robot taxis — without steering wheel, gas or brake pedals — on the road in five years. It’s also investing $4.5 billion to convert 40 percent of its lineup to electrified vehicles by 2020 and is offering bike sharing and a commuter van service in San Francisco. “Ford is taking advantage of favorable market conditions to issue long-term debt to raise capital for general corporate purposes,” Brad Carroll, a company spokesman, said in an e-mailed statement. The 30-year portion of the offering may yield 2.2 percentage points more than Treasuries, according to a person familiar with the matter who asked not to be named because the deal is private. That’s down from initial price talks of 2.4 percentage points. The 10-year bond may yield about 1.95 percentage points above Treasuries. The Dearborn, Michigan-based automaker is raising new cash as it looks at the changing landscape in transportation. Ford is working with cities around the world to come up with transportation solutions that go beyond selling cars to individual drivers and include vehicle sharing, ride hailing and other modes of mobility. The world’s middle class will double over the next 15 years, as more people crowd into huge urban centers, which would create global gridlock if everyone is driving their own car. Ford is a perennial issuer of debt for its Ford Motor Credit Co. lending unit, which uses the proceeds to make car loans to consumers.